Integral university conducts a university level entrance exam which is known as Integral University Entrance Test (IUET). 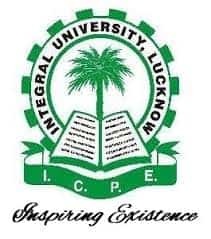 This exam is organized for admissions into UG and PG engineering courses, Integral University was established by the Islamic Council for Productive Education (ICPE) in 1997, which started functioning from 1998 and located in Lucknow, which is well known for educational excellence that is value based. Candidates for Diploma courses are required to pass in the 10th or equivalent examination from any recognized educational boards with subjects being Science and Mathematics as compulsory. UG courses:- Candidates must have passed 10+2 or equivalent examination from any recognized central or state board with subjects Physics, Chemistry and Mathematics. Aggregate marks being 45% for B.Tech and B.Pharm while for B.Arch, B.Tech in lateral entry should have 50%. Candidates who wish to pursue PG courses through the IUET need to complete their graduation from relevant disciplines or equivalent degree with minimum aggregate mark of 60% in MCA (Lateral entry), M.Pharm while for MBA,M.Sc, MCA need 50%. But M.tech courses should have aggregate marks of 55%. Candidates applying for IUET need to be Indian citizens only. Candidates pursuing their final year of UG or PG as per the course they are applying are also eligible to write this entrance examination. Candidates who are applying for Diploma courses should not be more than 18 years of age. Applicants for IUCET should be less than 21 years of age for UG courses. The candidate can fill the application form in the online and offline mode. The application fee would be Rs.1000/-. Candidates can pay the fee through internet banking/credit card/debit card or can download the form and send it to the university along with DD. Candidates who choose offline mode of applying have to purchase application forms at selected centres that will be updated in notification by paying the required fee through DD in favour of ‘Treasurer Integral University, payable at Lucknow’. Candidates are required to fill the application form with either blue or black ball point pen only. All the details are to be filled correctly without any mistakes. Paste recent passport size colour photo in the space available. Part A consists of 100 questions and part B and C comprises of 50 questions each. The exam will be objective nature. Part A will be of 200 marks. Each correct answer fetches 2 marks. Admit card of IUET 2018 Exam will be available online in the month of February 2018, they can download the admit card be entering the application number and date of birth. Without the admit card the candidates are not allowed into the examination hall. Candidate has to decide the choice of course before he wish to appear for IUET counselling, but based on its ranking he/she may get the course of his choice. Documents required while counselling for IUET. Candidates must know about the required documents required to bring while appearing for IUET counselling. Other supportive documents mentioned on IUET application form. Seat allotment will be done on the basis of merit list. Candidate will have the option to withdraw from the counselling as well.